Electronic mail or E-mail is around us since 1993. The pioneer of this mode of communication was no doubt 'Hotmail' which is now owned by Microsoft. 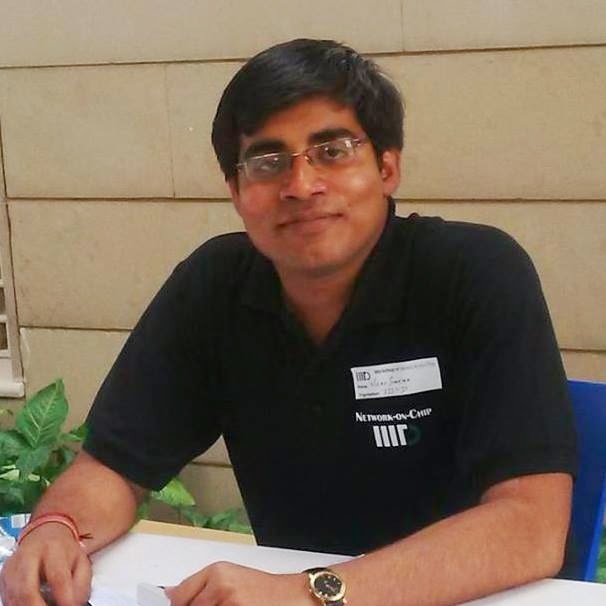 From computer based application, they have taken it to web and publicize it to an extent that today the official communication seems incomplete without it. Although the first of the web email was sent through a CERN project. 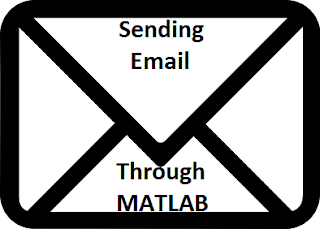 In this MATLAB code I have used MATLAB JAVA classes to use their SMTP access property. For more about EMAIL and SMTP or other protocols which is used to send mails please refer web. The MATLAB is commented well, but if you have any doubt please comment below. MATLAB code in bold for better contrast from the comments. *Your mail could end up in SPAM folder particularly if you end up using port 25, so be sure to check this folder too. *You must be connected to internet for using this code. *For Gmail it is required to have a secure connection by default. If you get a security certificate error try fiddling up something in your GMAIL account setting to make the mailing transaction unsecured. (At-least for this program). 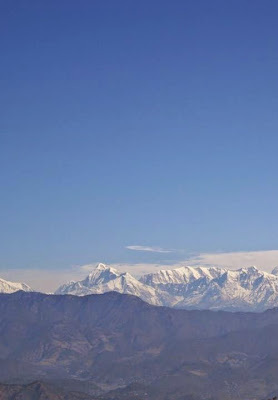 The Wikipedia definition says, Image stitching is a process of combining multiple images with some or no overlapping fields of view to produce a segmented panorama or high-resolution image. Commonly performed through the use of computer software, most approaches to image stitching require nearly exact overlaps between images and identical exposures to produce seamless results. This process can also be easily done in MATLAB, as image is also a matrix of integers & what MATLAB do processing on, is a Matrix. So, image stitching is a simple problem of Matrix Manipulation. 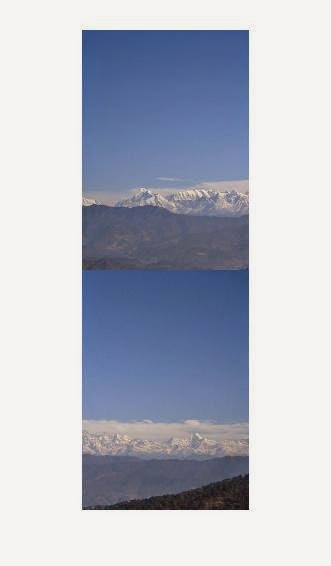 If you are aware of these manipulations you can easily get to know how to do it. NOTE: This method will perform image stitching without correlation of the parts to be stitched, so if there is a overlap between the content of the images to be stitched that will distort the image, as it will contain the repetition of the pixels. So lets take an Image First. 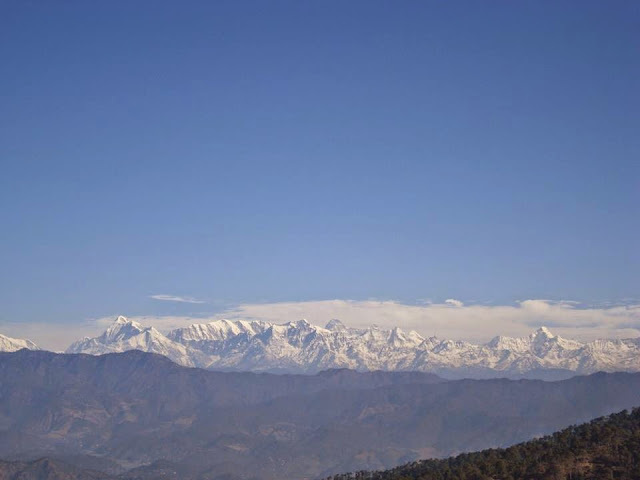 Its my favorite image of Himalaya, as seen from a small & beautiful hill station Ranikhet. 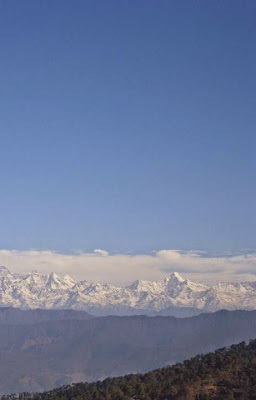 Now just for the experimentation purpose I have cropped this image in two parts, & will try to stitch those 2 parts (left & right) in order to get the complete panoramic view of Himalaya. Now its time to apply our MATLAB code in order to combine these two images or stitch them to get whatever we wanted it to be. 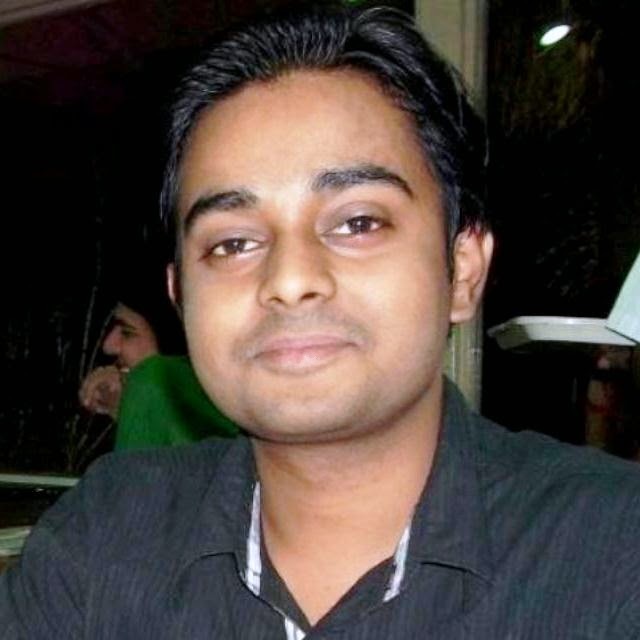 NOTE: We have resized image 'b' as per image 'a', you are free to do opposite. This will particularly create visible distortion in the case where there is a large difference in the image size of the combining images. 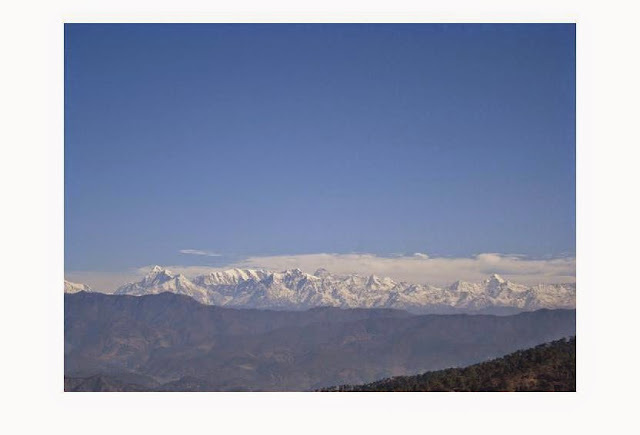 Hope you enjoyed the article on Image Stitching Using Matlab. If you want to share your own result, or want to share your own improved code, just comment over the page or just mail me. I will be happy to include that here. Before going through this post I would recommend that you must see, MATLAB GUI basics post so that you can have some idea about the GUI & related options in MATLAB. Step2 : Make your GUI platform. 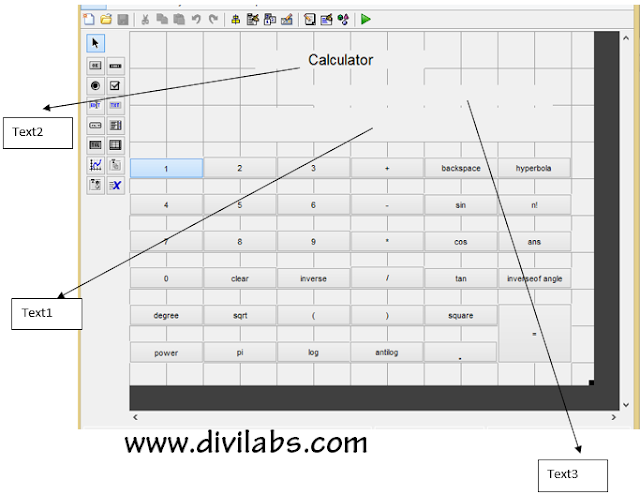 Think how your calculator will looks like & add buttons, text box etc. In my calculator I have taken 35 push buttons for different calculator related functions. 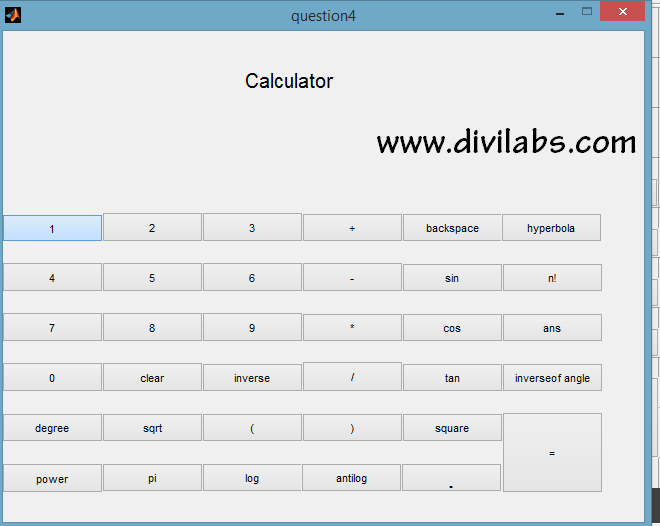 I take 3 static text box in which one is used for displaying the title of my calculator as “Calculator”. One will show input given by push buttons and last one will be used for showing the results. 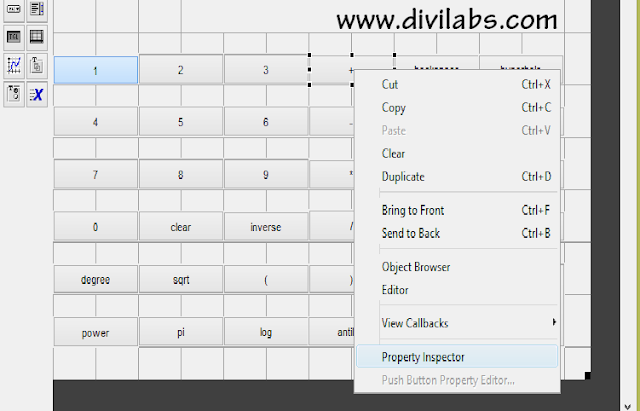 In the property inspector you can change the string name ( which reflects the name of push button ) and tag ( which reflects the name of call back of your push button. So for the '+' push button I changed the string by '+' so at the push button it shows +. And in tag I change with pushbuttonplus so in programming its call back function name is pushbuttonplus. You can give these names as according to your choices. So the same process I did, with all push buttons. I named all push button tag as per their function which you see in the programming part. Also you can change the colour, font size, size of push button etc things as according to your choice. Step 3: Once you done all these things you can save this and open the Editor section. Step 4: now you have to program each and every button functions as according to your requirement. In programming there are some functions which is used many times like. 1 # Set : this is used to set any block when this particular push button calls . means whenever pushbutton1 will be called it set text 1 as vijaysharma. means it will take data from text1 and store in New. means it add ‘new’ string and ‘old’ string together. # # eval is used to calculate the value of expression given in string. You can read more about these functions in MATLAB. 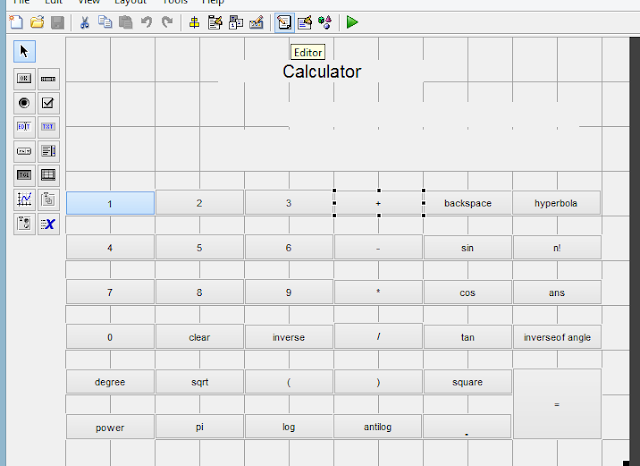 Step5: The programming part: You need to do something like this to get your calculator work! % --- Executes on button press in pushbutton5. % --- Executes on button press in pushbutton6. % --- Executes on button press in pushbutton7. % --- Executes on button press in pushbutton8. % --- Executes on button press in pushbutton9. % --- Executes on button press in pushbutton10. % --- Executes on button press in pushbuttonclear. % --- Executes on button press in pushbuttonminus. % --- Executes on button press in pushbuttonequal. % --- Executes on button press in pushbuttonplus. % --- Executes on button press in pushbuttonmultiply. % --- Executes on button press in pushbuttondivide. % --- Executes on button press in pushbuttondegree. % --- Executes on button press in pushbuttonsin. % --- Executes on button press in pushbuttoncos. % --- Executes on button press in pushbuttontan. % --- Executes on button press in pushbuttonleftbracket. % --- Executes on button press in pushbuttonrightbracket. % --- Executes on button press in pushbuttonsqurt. % --- Executes on button press in pushbuttonbackspace. % --- Executes on button press in pushbuttonsquare. % --- Executes on button press in pushbuttonpower. % --- Executes on button press in pushbuttonpi. % --- Executes on button press in pushbuttonlog. % --- Executes on button press in pushbuttonantilog. % --- Executes on button press in pushbuttondot. % --- Executes on button press in pushbuttonhyperbola. % --- Executes on button press in pushbuttoninverse. % --- Executes on button press in pushbuttonfactorail. % --- Executes on button press in pushbuttonans. % --- Executes on button press in pushbuttoninversetran. Step 6: Now execute it. After that you can make your .exe file of this program by the help of command ‘deploytool’. Just type this command on command window and add the file of program and build it. You can add extra function add according to your requirement. If you have any suggestion or fault in this let me know, in the comment section or just drop a mail.